Homeowners forced to surrender part of their gardens to allow the development of high-capacity bus and cycle routes will receive average compensation payments of €25,000 each. The National Transport Authority (NTA) has said building four of the 16 proposed corridors will cost between €400m and €590m, with the overall Bus Connects core bus corridor project expected to incur a €1.5bn bill. Further details of the plan, which would see roads widened, hundreds of car parking spaces lost and trees removed, as well as changes to traffic movements in parts of the capital, have emerged. The Irish Independent revealed that 345 households faced losing between one and four metres of their garden as four corridors between the city centre and Blanchardstown, Lucan, Clongriffin and Swords are developed. However, another 12 corridors are planned, with the entire project expected to affect 1,300 homeowners. The other corridors link the city centre and Liffey Valley, Greenhills, Rathfarnham, Kimmage, Ballymun, Bray, UCD, Ringsend, as well as between Finglas and Phibsborough, Clondalkin and Drimnagh, Blackrock and Merrion, and Tallaght and Terenure. Details of these routes will be revealed next January and February as part of a public consultation process. The NTA is offering one-to-one meetings with the 345 homeowners affected by the first phase of the project, with about 30 making contact so far this week. Meetings will also be offered to households as more corridors are unveiled. Bus Connects involves the creation of 230km of dedicated bus lanes, as well as 200km of cycle routes. The NTA says they are needed because on the busiest city services, bus lanes are only in place for one-third of the routes. This means that for most of the journey, buses compete with other road traffic which increases congestion. The Blanchardstown corridor, which will cost up to €170m to upgrade, carried 11 million passengers last year and serves 11 routes. Lucan carried 8.5 million, will cost up to €120m and has 15 routes; Clongriffin carried 22 million, will cost up to €150m and serves 18 routes; while Swords carried 19 million, will cost up to €150m to upgrade and serves 13 routes. Annual passenger growth has increased by 14pc since 2014 on city bus services, and if the project goes ahead, journey time reductions of up to 50pc can be achieved. However, if the dedicated lanes aren't put in place, it will result in as much as 20 minutes being added to journeys. "With the city set to grow by 25pc by 2040, the level of congestion will increase and people's quality of life will be eroded unless we take the appropriate actions now," said NTA chief executive Anne Graham. "Unless we transform our transport infrastructure, travelling by bus will become slower, less reliable and more frustrating." The NTA intends to seek planning permission from An Bord Pleanála in 2020, which will include a request to acquire the necessary lands under a compulsory purchase order. NTA deputy chief executive Hugh Cregan said it would commence discussions with the planning appeals board before deciding if consent would be sought for all 16 corridors in one application, or whether all 16 would be lodged as separate cases. Each corridor would take between 18 and 24 months to build. Business group Dublin Chamber said the corridors had the potential to enhance public transport across the city and urged people not to reject the proposals out of hand. 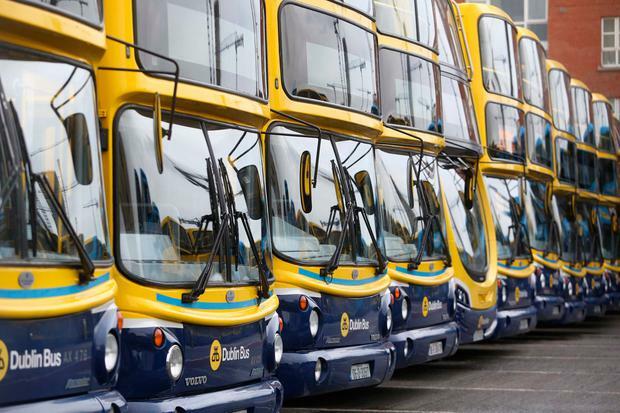 "Dublin badly needs an improved bus network," said head of public affairs Graeme McQueen. "Too often we've seen transport projects being treated as political footballs. We're calling on businesses and members of the public to engage with the NTA in a constructive manner and share their feedback on the various bus corridor routes as the proposals are released."